We are glad to announce Singapore to be the next location for one more checkpoint for Dispersa in addition to New York, San Francisco and Amsterdam distributed checkpoints network. With this South-East Asia checkpoint our 24/7 free streams monitoring becomes more pervasive for your convenience. Notice that you can always add your own private checkpoint to make streams monitoring within limited access networks. E.g. 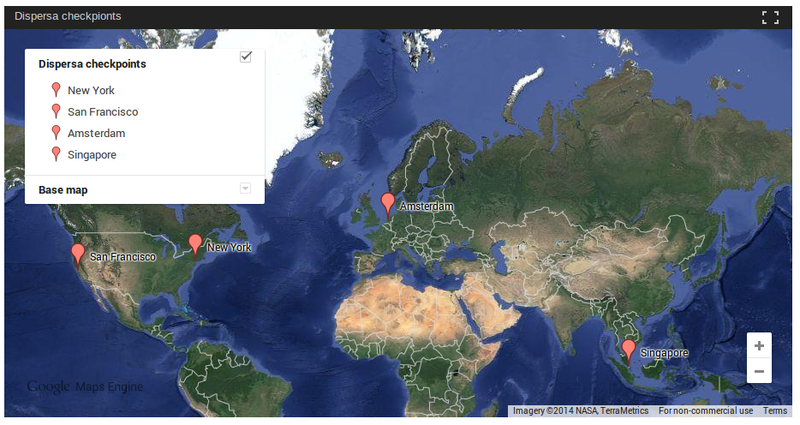 you may have geographically locked streaming limited to specific countries. Nimble Streamer is a product made for streaming business of any size, starting from the smallest start-up companies. Most of them want to monetize their media in all possible ways so after a while we implemented a feature set which we call pay-per-view (PPV) for Nimble Streamer. What are the use cases for this kind of functionality? So it's a good foundation for creating paywalls. Customer implements API handler that is able to accept POST requests. Customer adds pay-per-view signature into existing media links, with primarily a unique ID for each of his clients. WMSPanel provides web UI for setting up handler URL and some other parameters. Nimble Streamer sends request to handler on a periodical basis which is defined via web UI. Sync contains all users' IDs, IPs, view time delta and media names. All Nimble Streamers will send sync-ups to the same single API handler. Paywall pay-per-view based on Nimble Streamer. Please read our web site section describing Pay-per-view set up with pictures and code samples. 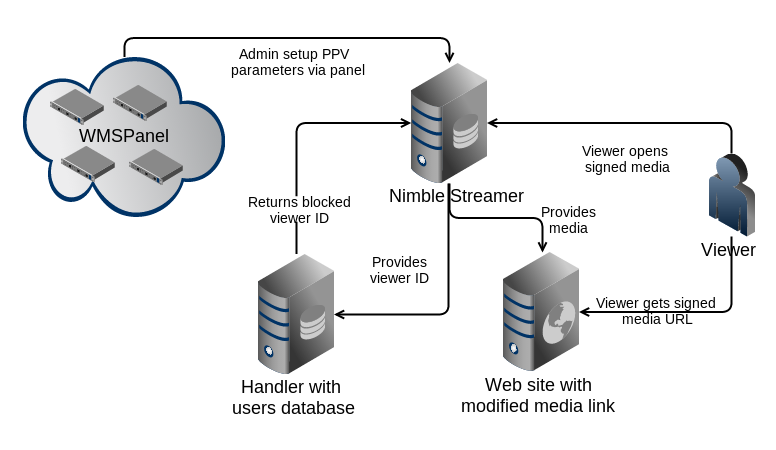 You can also read "The Paranoid’s Guide to Internet Video Streaming" by Thomas Gires to see real-life example of using pay-per-view feature set. This feature set requires changes in customer business logic and proper set up at WMSPanel. This is why we're looking forward to seeing your feedback, questions and comments. Send us your code snippets so we could check them and propose improvements. If you need more protection for HLS, please consider using HLS AES-128 DRM encryption supported by Nimble. Contact us if you have anything to say regarding this feature set. We're glad to announce that WMSPanel UI now speaks Chinese! So now our customers from China and other countries with Chinese-speaking communities may use our excellent web UI in their native language. Would you like to contribute and see your language in WMSPanel? Contact us to see what we can do. 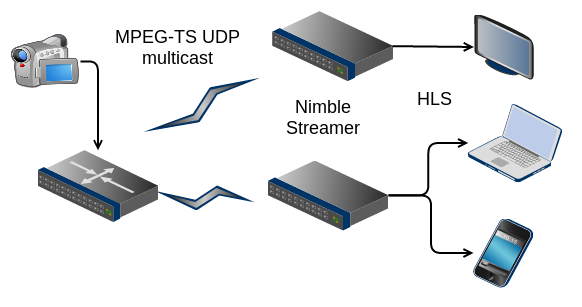 Recently our customer and collaborator Thomas Gires released an article describing the process of building secure streaming infrastructure with WMSPanel, Wowza Streaming Engine and Nimble Streamer. He called it The Paranoid’s Guide to Internet Video Streaming and it expresses his experience in video streaming. You can contact Thomas if you have any questions or if you want to discuss further use of his professional services. Here is the copy of aforementioned article for convenience of our customers and visitors.